Willow gets very obsessed with a show. A few months ago, it was Tangled. She would ask to watch it all day, every day. While she has moved on to Frozen right now, she still loves Tangled and will still ask for it, act it out and sing the songs. 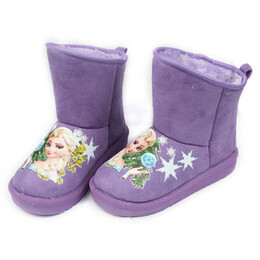 She tells me all the time how much she loves Tangled’s long hair and how her hair is growing long like Rapunzel’s. 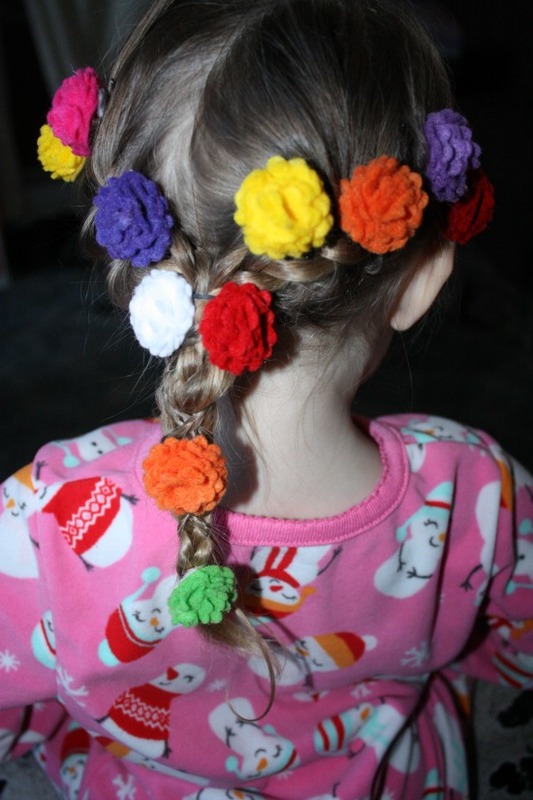 When I told her I found a video online that shows how to do the Tangled Flower Braid hairstyle, she asked for it every day. In the video, they use real flowers. But she even says that it is great for a special occasion. My girl’s obsession, this is an everyday thing, not a special occasion. So I needed a better solution. Add in that her hair is painfully thin and fine, I needed something that would stay put, because if she lost her flowers, she would be devastated. I turned to the best hair bow and barrette maker I know, Daisy Dew & Tutu. She has made so many great things for my girls over the year from custom bottle cap necklaces and earrings to match Serenity’s cheer team, to barrettes to support Jimmy’s favorite hockey team : Go Pens, to adorable leg warmers with matching bow, to just replacement barettes for all the ones the girls misplace. 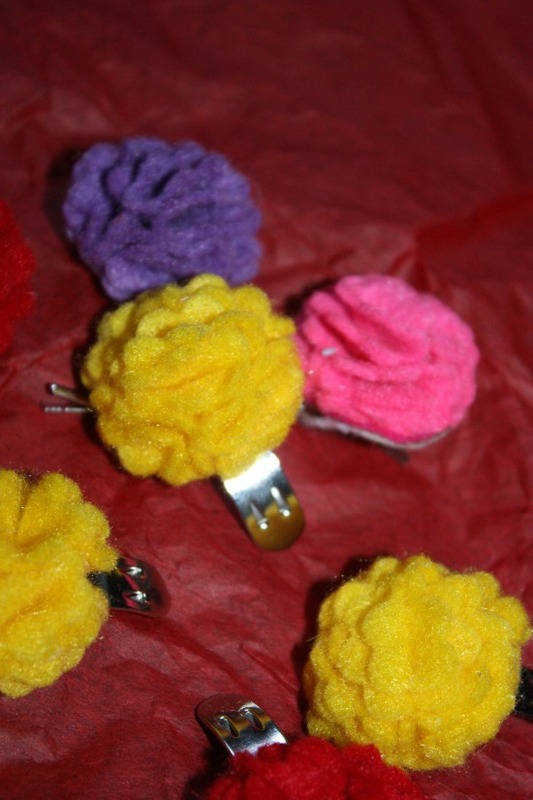 She made me these fantastic felt flowers in bobby pin, but the best ones are the felt flowers on these shoe clips. 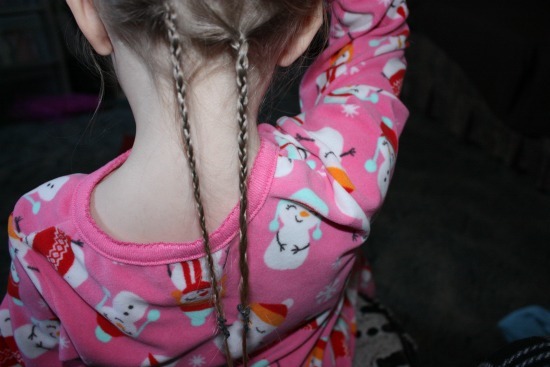 Let me tell you, I have never had anything stay in Willow’s hair so well. Both in the braid and just normal hair styles. I am in love. Check out her Facebook page and connect with her. She does amazing work, has fantastic prices, and bends over backwards to get you a design you will love. Start by dividing the hair in half. Then do 2 very small micro braids. 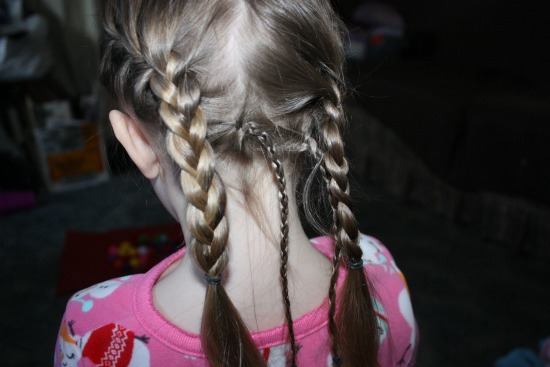 Then you need to do a french braid down each side of the head. 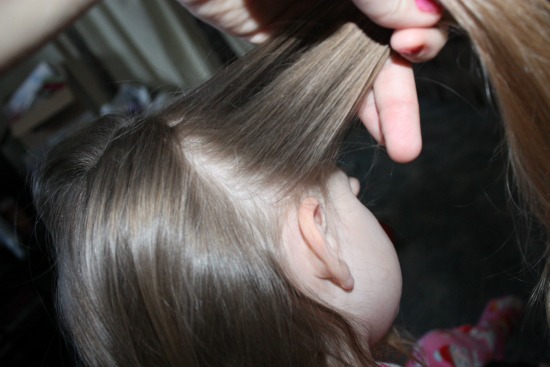 Start by taking hair at the ear line, and braiding back. 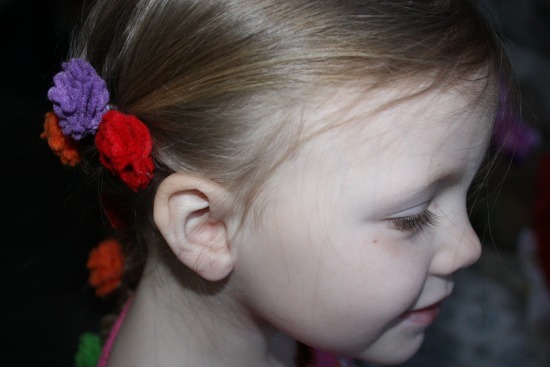 In the video she does a slightly different braid, but for me this braid is easiest, and it looks the same. Do the same thing on each side. Make sure to leave the micro braids hanging out. Braid down past the base of the head. 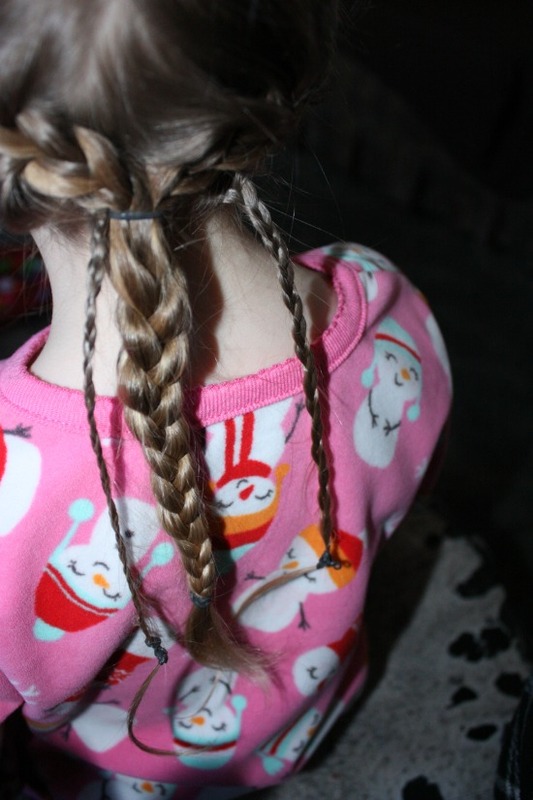 Then combine the 2 braids together with an elastic. 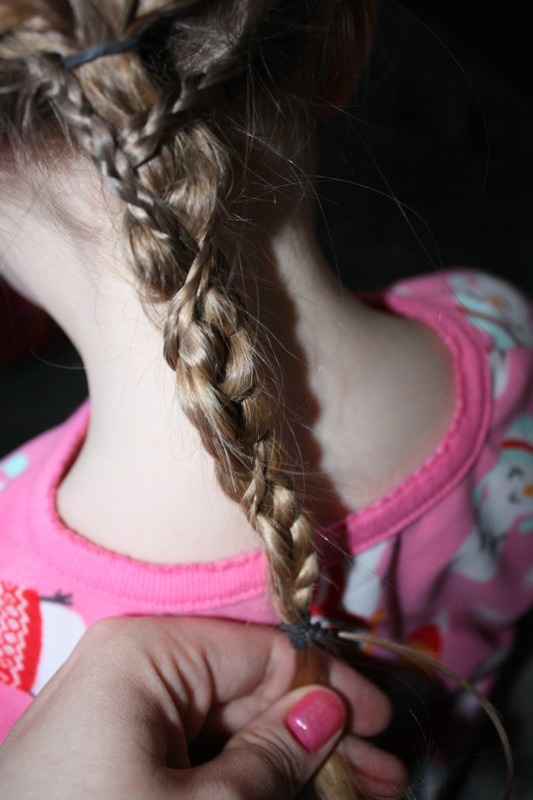 Then do a regular 3 strand braid to combine the 2 sides, adding an elastic at the end. Take the micro braids and twist them around the main braid. Adding an elastic to the end to hold them all together. Now here is the fun part: Add in the flowers. 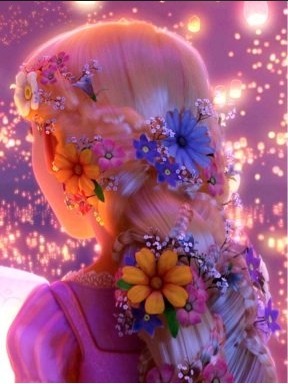 Decorate the hair with the flowers. 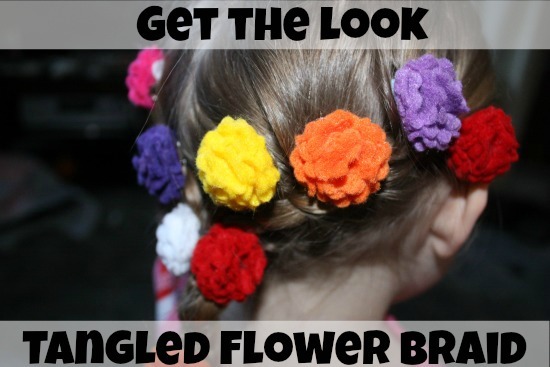 This is a great way to cover the elastics if they are showing, and to add lots of color to the hairstyle, or even just one color to bring out the color of an outfit. Willow was so excited to look like Rapunzel. And we have recreated this several times since the first time. I am getting better at it. And every time she loves it more and more.